Seemingly out of nowhere, the Indianapolis Colts' wideout continues to slice up opposing defenses. Now considered a premier receiver, Stokley made the rare jump from "free agent pickup" to "No. 1 wideout". Aside from hauling in Peyton Manning's record-breaking touchdown pass last December 26, 2004, Brandon Stokley had nine other TD receptions to go with his 68 catches for 1077 yards in 2004. On December 26, 2004, Stokley received the record-breaking 21-yard touchdown pass for Peyton Manning in the hunt to break Dan Marino's record of 48 touchdown passes in a season. That season, he had a breakthrough season with 68 passes caught for 1,077 yards and 10 touchdowns and an average of 15.8 yards per catch. Furthermore, the TD catch made the 2004 Colts the first NFL team to have three WR with 10 TDs or more in a season, the other two being Reggie Wayne and Marvin Harrison. The next two seasons of Stokley's career were marred by various injuries. 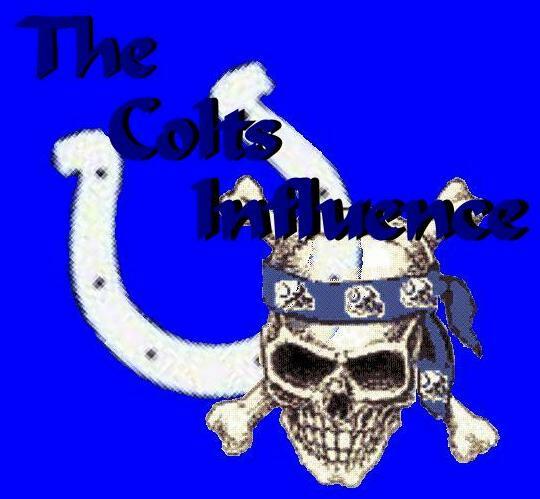 After participating in only four games of the 2006 season, the Indianapolis Colts terminated his contract on March 1, 2007. 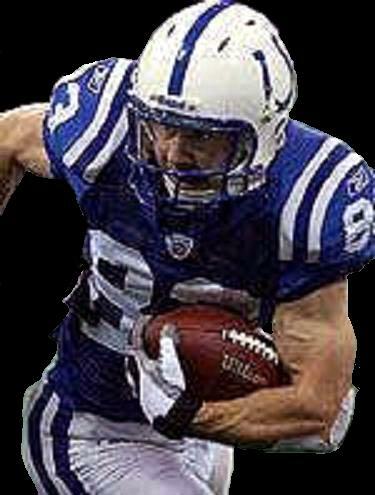 On Thursday, March 13, 2003 free-agent wide receiver Brandon Stokley, who played for the Baltimore Ravens for the past four seasons, has agreed to a two-year, $2.9 million contract with the Colts. The Colts for the past several seasons have sought a receiver to give them consistent balance opposite Marvin Harrison, who has caught more than 100 passes each of the past four seasons, including an NFL record 143 last season. Colts Quarterback Peyton Manning and Stokley both played high school football in Louisiana but didn't become acquainted until taking part in the passing academies Manning holds each summer in Hammond, La. When the Colts showed an interest in Stokley, Manning didn't hesitate to call him. "We talked a little bit,'' Stokley said. "He knew I had some other visits to take, but he thought the situation in Indy would be a good situation for me. Stokley (5-feet-11, 197 pounds), a 1999 fourth-round draft choice by the Ravens from Louisiana-Lafayette, has 60 career receptions for 913 yards and seven touchdowns. He caught a career-high 24 passes for 357 yards and two touchdowns last season. .
An array of injuries (foot, hamstring, concussion) kept the former Southwestern Louisiana standout from becoming a full contributor to the Indianapolis offense. Stokley has gradually worked his way into becoming a reliable third and sometimes second option in the Colts' passing attack. December 14, 2003 Stokley had seven catches for 95 yards and two touchdowns in a 38-7 win over Atlanta and on December 28, 2003 he had nine receptions for 67 yards and a touchdown in a 20-17 road victory against Houston. Nevertheless it was his four receptions for 144 yards and two touchdowns - including a game-breaking 87-yard scoring catch and run - December 21, 2003 in a 41-10 AFC wild-card win over Denver that really opened a lot of eyes. Stokley has emerged as a viable option in the Colts' offense, turning what had been a Marvin Harrison-Reggie Wayne act into a three-ring circus. His latest exploits: eight receptions and 97 yards, both team highs, on October 3, 2004, a 24-17 win at Jacksonville. Stokley's 22 receptions in four games are two shy of matching a career high for a season, while his 311 yards are 46 short of a career best. Of Stokley's 22 receptions, 15 have produced first downs and three reached the end zone. He's been most effective working the middle of the field, registering a 45-yard reception against New England and collecting 34- and 27-yard touchdowns against Green Bay. originally was a D4-99 draft pick by Baltimore, the 105th selection overall. 2003: Started three of six outings during injury-plagued season - started final three games and played as reserve WR 10/26 vs. Houston, 11/2 at Miami and 12/7 at Tennessee - was slowed through first part of season by off-season foot surgery - concussion at Miami altered mid-season availability - was 22-211, 3 TDs receiving had receptions in five outings&ldots;was 9-67, 1 TD at Houston 12/28 and 7-95, 2 TDs vs. Atlanta 12/14 for top outings - was 3-34 at Miami prior to injury - was 2-10 at Tennessee and 1-5 vs. Denver 12/21 - had 4t and 37t receptions vs. Atlanta, while 5t fourth-quarter snare at Houston tied contest in final four minutes as Colts produced eventual last-second 20-17 win to capture AFC South title. POST-SEASON: Was 11-223, 3 TDs receiving as reserve WR vs. Denver 1/4, at Kansas City 1/11 and 1/18 at New England - was 4-144, 2 TDs vs. Denver and, along with WR-Marvin Harrison (7-133, 2 TDs), set club playoff record for most scoring receptions in a game - had 31t and 87t receptions, with latter score setting club playoff record for longest reception (75t, John Mackey-from-John Unitas, Super Bowl V was prior longest play) - was 4-57, 1 TD at Kansas City, including 29t snare to open scoring in 38-31 win - was 3-22 at New England. 2002: Started five of eight games - started at Carolina 9/8, vs. Denver 9/30, at Cleveland 10/6, at Atlanta 11/3 and vs. Cincinnati 11/10 - was reserve vs. Tampa Bay 9/15, vs. Jacksonville 10/20 and vs. Pittsburgh 10/27 - was inactive 10/13 at Indianapolis, at Miami 11/17 and vs. Tennessee 11/24 - spent final five weeks of season on injured reserve - was 24-357, 2 TDs receiving - was 6-83 at Carolina for career-high reception game - had receptions in eight games, including five multiple-reception outings - was 4-78, 2 TDs (20t, 35t) at Cleveland for career-best scoring game. 2001: Started five of 16 games - started vs. Chicago 9/9, at Cincinnati 9/23, at Denver 9/30, at Cleveland 10/21 and at Tennessee 11/2 - was 24-344, 2 TDs receiving to notch then top seasonal totals - had receptions in 12 games, including seven multiple-reception outings - was 5-68 at Cleveland - was 2-22 vs. Chicago, 2-19 vs. Cincinnati, 3-38 at Green Bay 10/14, 3-23, 1 TD (5t) vs. Pittsburgh 12/16, 2-50 vs. Minnesota 1/7 and 2-42 vs. Indianapolis 12/2 for other multiple-reception outings - had 21t snare vs. Cleveland 11/18 - was 1-1 rushing at Pittsburgh 11/4. POST-SEASON: Saw action as reserve 1/13 at Miami and 1/20 at Pittsburgh - was 2-38 receiving. 2000: All action came in last seven games and started 12/24 vs. NYJ - was inactive in seven of first eight games and was active but did not play 9/17 at Miami - was 11-184, 2 TDs receiving - had receptions in five outings - was 4-68 vs. Cleveland 11/26 and 4-55, 1 TD (22t) vs. San Diego 12/10 for top games - had 14t reception at Cincinnati 11/5 - was 1-6 rushing at Arizona 12/17. POST-SEASON: Was reserve vs. Denver 12/31, at Tennessee 1/7 and at Oakland 1/14 and started vs. NYG 1/28 in Super Bowl XXXV - was 1-8 at Tennessee, 3-31 at Oakland and 3-52, 1 TD (38t) vs. NYG. 1999: Was reserve at St. Louis 9/12 and vs. Kansas City 10/21 before dislocating shoulder at Kansas City and spending last 10 weeks on injured reserve - was inactive vs. Pittsburgh 9/19, 10/3 at Atlanta and 10/10 at Tennessee - was active but did not play vs. Cleveland 9/26 - was 1-28, 1 TD at St. Louis. Started 26 of 37 career games and was 241-3,702, 25 TDs receiving and 100.05 ypg. average - set every school reception record and ranked 10th in NCAA career receptions and 9th in yards - had three 1,000+ seasons and was only player in school history to have one 1,000+ season - was 65-1,173, 8 TDs as senior in eleven starts&ldots;had six 100+ games and 106.64 ypg. average - was 6-151 at Arkansas, 10-133, 1 TD vs. Arkansas State, 7-181, 3 TDs vs. Tulane and 7-152, 2 TDs at Oklahoma State - started four games as junior, missing seven with knee injury - was 20-248, 1 TD - started eleven games as sophomore and was 81-1,160, 7 TDs (105.45 ypg.) - had five 100+ games and set school seasonal reception mark - was 10-190, 1 TD against Louisiana Tech and 9-189, 1 TD against Houston - was All-Independent and All-Louisiana first-team choice - was reserve in eleven games as freshman - was 75-1,121, 9 TDs (101.91 ypg.) to set NCAA Division 1-A freshman record - had seven 100+ outings - redshirted as freshman. Full name is Brandon Stokley - born in Blacksburg, Va - attended Comeaux (Lafayette, La.) High School - was 80-946 receiving in playing one year of football, earning all-state honors - was all-district G in basketball and baseball after giving up football to concentrate on those sports - played for father, Nelson, at USL - has worked in the past at Peyton Manning Passing Academy in Hammond, La - .was active in Baltimore-area youth activities - Stokley and his wife, Lana, reside with their son, Cameron, in Lafayette, La.